This week Divvy in Chicago has begun installing a series of stations that will double the bike share system’s service area and put more than half of all city residents within a half-mile walking distance to a station. It’s part of an ambitious growth plan with major potential to increase equitable access. 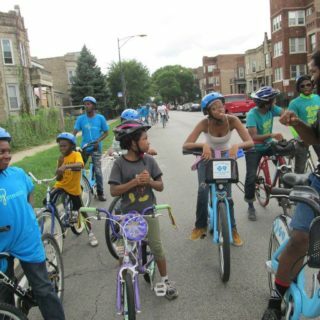 The expansion will bring 1,760 new bikes to Chicago neighborhoods. While some—about 20 percent—will be in-fill stations that increase density within areas like downtown that already have bike share stations, the majority will pop up in neighborhoods with no current access to bike share. Sean Wiedel, the assistant commissioner of Chicago’s department of transportation, calls this a huge accomplishment, especially when it comes to the mission of increasing equity among users. After all the new stations have been installed, Divvy will cover 38 percent of the city geographically—up from 19 percent. That 38 percent of the city includes 56 percent of the population. Expansion will begin with 17 new stations in Canaryville and Bronzeville, a historically black community that previously had some stations. Then it will move south to Hyde Park, one of the most economically diverse areas of Chicago, which will also receive 17 stations. 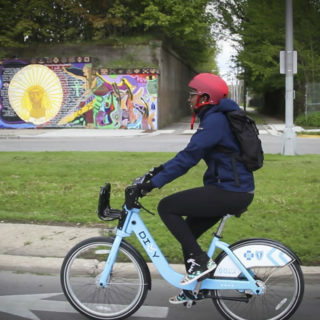 Other neighborhoods being added to Divvy’s surface area are Pilsen, known for its Latino community, and Albany Park, also a melting pot of different languages and ethnicities. “And we’re not stopping there,” says Wiedel. He is quick to mention this because he’s aware there are still neighborhoods left out of the expanded service area. The city has eventual plans for them, too. According to Wiedel, they have already secured funding for 30 more stations, and they have grant applications out for an additional 100 beyond that. Divvy knows it’s not enough to just add new stations, though. Having stations a half-mile apart may not be dense enough to entice riders. (There’s a reason they are infilling stations in downtown and other areas, some of which already had stations a half mile apart.) In order to maximize the potential of these new stations, city officials have met with more than 100 community groups and asked for input on placement. 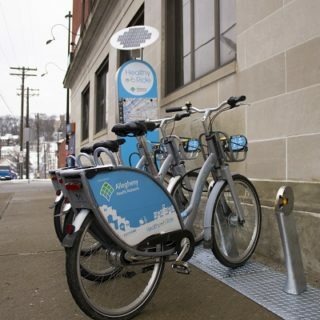 They have also started a constant stream of information on the benefits of bike share to these community groups in hopes they’ll distribute it among their members and get them excited about the forthcoming stations. What Divvy and DOT don’t want is for residents to feel like bike share is being thrust upon them from an outside force. Respected community leaders have bought into the idea, and they are hoping that trickles down to potential users. Divvy is also utilizing ambassadors from a long-established bicycle training and education program in the city as a street team. Beginning this week, they will be visiting local businesses to talk about the benefits of bike share and engaging residents who might not know how to effectively use bike share. Like most bike share systems, there is a minimum age limit for Divvy—16. Despite this, Divvy is also doing art-focused outreach in elementary and high schools. The idea here is twofold. First, the younger children might get excited about bike share and encourage their parents to use it. Second, the high school kids will have the opportunity to participate in a Design-A-Divvy competition, where they create the artwork for Divvy bicycle baskets. Some of these designs will be printed and appear on bicycles within the system. “So, you’ll have bicycles that reflect these neighborhoods,” explains Wiedel. Finally, they will be relying on geo-targeted advertising to drive interest. The way Wiedel sees it, their expansion plans are two sides of the same equity coin. Usage isn’t possible without physical access, and usage isn’t probable without outreach.